David Austin Roses than ever before. "Grown in the Mountains - to thrive in the Mountains." 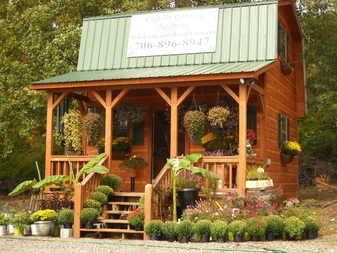 Located in Hiawassee, in the beautiful mountains of North Georgia, English Country Gardens is the largest Wholesale/Retail greenhouse grower and garden center in the area. We do not "buy-in" plant product for re-sale. Everything is grown on site to ensure quality and hardiness. Our our customers can be assured the plants we grow will live up to our exacting standards, "Grown in the Mountains to thrive in the Mountains." Michael Clark, Owner of English Country Gardens, began his horticulture career at the age of 14 when he built his first greenhouse in the family's back garden in Hertfordshire, England. He began marketing his own line of plants to local shopkeepers and with his family's encouragement he continued his education and completed his City and Guild and then his apprenticeship at Thomas Rochfords and Sons, Ltd., one of the largest greenhouse operations in Europe with over 40 acres under glass. Michael first visited the United States in 1974 on a Future Farmers of America program and returned again in 1980 after winning a scholarship to attend Ohio State University. After graduating from Ohio State he spent the next ten years in California and then Wisconsin before moving to North Georgia in 1990, where he began English Country Gardens. 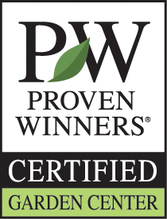 English Country Gardens is a Proven Winner's Certified Garden Center specializing in Hanging Baskets, Annuals, Perennials, Flowering Shrubs, Hanging Bags, Vegetables, as well as culinary and medicinal herbs. English Country Gardens is a member of the local Chamber of Commerce and the Applachian Sustainable Agriculture Project, and is proud to assist with fund raiser projects of area Churches, Civic, and Charitable Organizations. Michael Clark is a proud member of the Union County Lions Club, Honorary member of the Hiawassee Garden Club, and serves on the Board of the Union County Farmer's Market. If your Church, Civic, or Charitable Organization would like to know more about how English Country Gardens can assist you with your fund raising project, please call 706-896-8947. Whether you are landscaping a large area or looking for color and container gardens for your patio or deck, visit English Country Gardens for your gardening needs. We can help you select just the right plant for your location and provide you with the information you need to be successful.